Fahrenheit Nutrition. Your Nutrition....To the Next Degree! Bodybuilding.com is the largest online retailer of supplements in the world. They have a huge following of consumers who trust them in making quality decisions on lines that they choose to carry. Fahrenheit Nutrition announced today that after months of discussions with the popular online nutrition supplement website, Bodybuilding.com, an agreement has been reached for the sale of their products. “We feel that this is big step in increasing brand awareness to consumers that may not be familiar with the quality and effectiveness of our products.” said William Mellors, CEO of Fahrenheit Nutrition. “Bodybuilding.com is the largest online retailer of supplements in the world. They have a huge following of consumers who trust them in making quality decisions on product lines they choose to carry. We are happy to be a part of that and appreciate the relationship that we are creating.” It is a great fit for Fahrenheit Nutrition which manufactures 16 products from weight loss, sleep aids, multi-vitamins, to endurance supplements. Bodybuilding.com will also benefit from the growth of Fahrenheit Nutrition’s product line that is poised to see substantial sales increases over the next several quarters. “Bodybuilding.com is a well-educated community. Their clientele understands supplements and will be able to determine why our products such as Flexible, our joint formula, and Endurance, a BCAA plus formulation, are superior to other products currently on the market. This is another exciting step for Fahrenheit Nutrition and our customers,” Mellors explained. When pressed about future products, Mellors was tight lipped but did add, “Our research and development team is constantly working on creating new and innovative products. Our hope is to bring several new products to the market in quarter 2.” What type of products Mellors was referring to is unknown. Currently 9 of Fahrenheit Nutrition’s products are for sale at Bodybuilding.com. 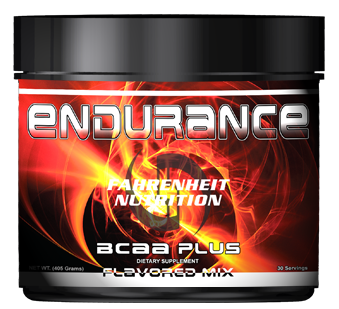 Every product delivered by Fahrenheit Nutrition is guaranteed to meet or exceed label claims. Every formulation is packed for performance and backed entirely by years of clinical research and in-the-gym testing. Fahrenheit Nutrition backs all our products with a 100% guarantee. If for some reason you are not happy with our products return it to us for a refund. We will even pay the shipping. All products in the Fahrenheit line are manufactured using current Good Manufacturing Practices (cGNP) as defined by the FDA. Fahrenheit Nutrition products are available at retail outlets throughout the United States. 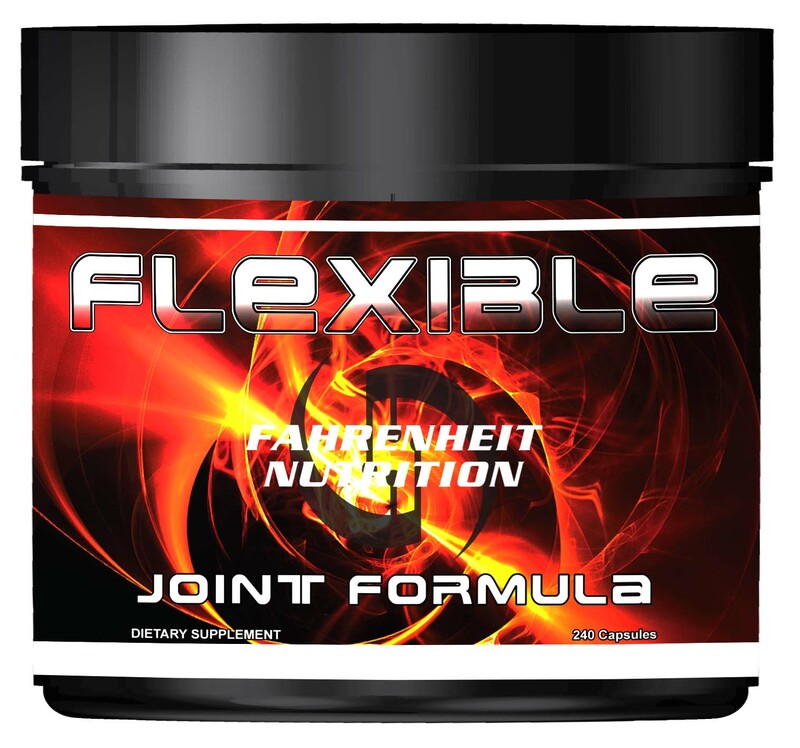 Flexible Joint Relief by Fahrenheit NutritionFlexible Joint Relief helps to Alleviate Joint Problems and Joint Pain Endurance by Fahrenheit Nutrition BCAA powderEndurance by Fahrenheit Nutrition is the best bcaa powder on the market. 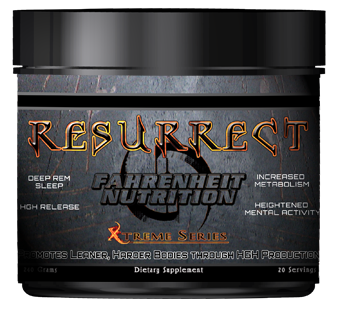 Resurrect by Fahrenheit NutritionResurrect a sleep formula the gives you a night of sound sleep Burn Fat Fast with LEAN-EFX by Fahrenheit NutritionThe New Look of LEAN-EFX by Fahrenheit Nutrition, The Best Fat Burner in the business!